This important book is the first to make an explicit link between management practices and service outcomes in social welfare agencies. 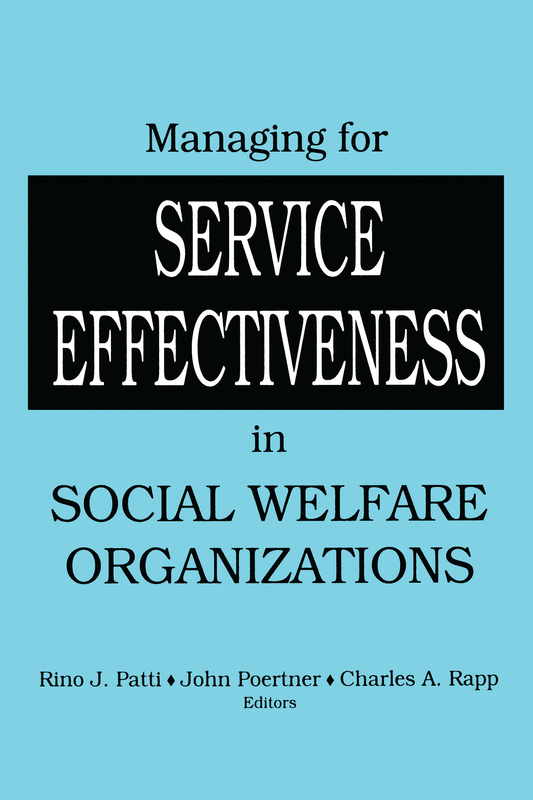 Managing for Service Effectiveness in Social Welfare Organizations is based on the premise that the primary responsibility and distinctive competency of social welfare management is delivering high quality, effective services to clients. Collectively, the book’s esteemed contributors have clearly presented a model of administration founded on concepts and strategies for connecting managerial action with service effectiveness. The sections of the book correspond to the core functions and tasks in an effective approach to management, including measuring performance, program and organizational design, managing people, managing information, managing environmental relations, and the ethics of managing for effectiveness.